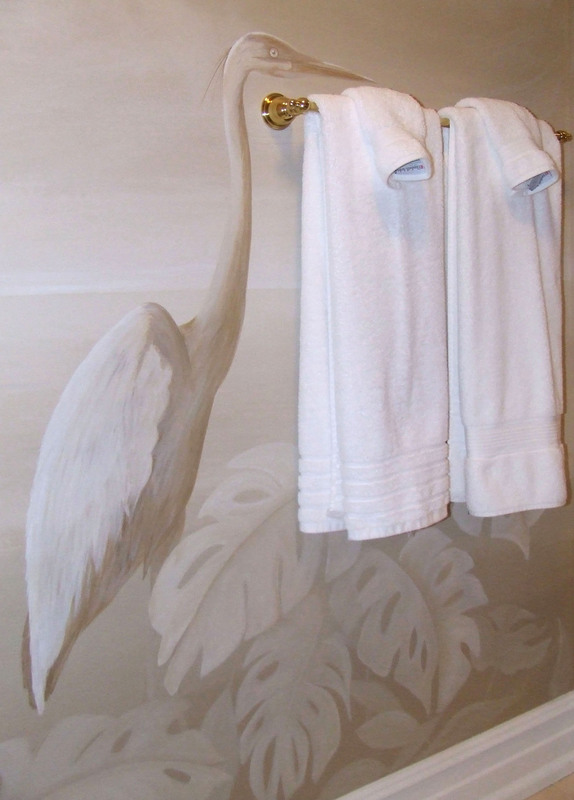 Monochromatic Grisaille style bathroom, very serene. 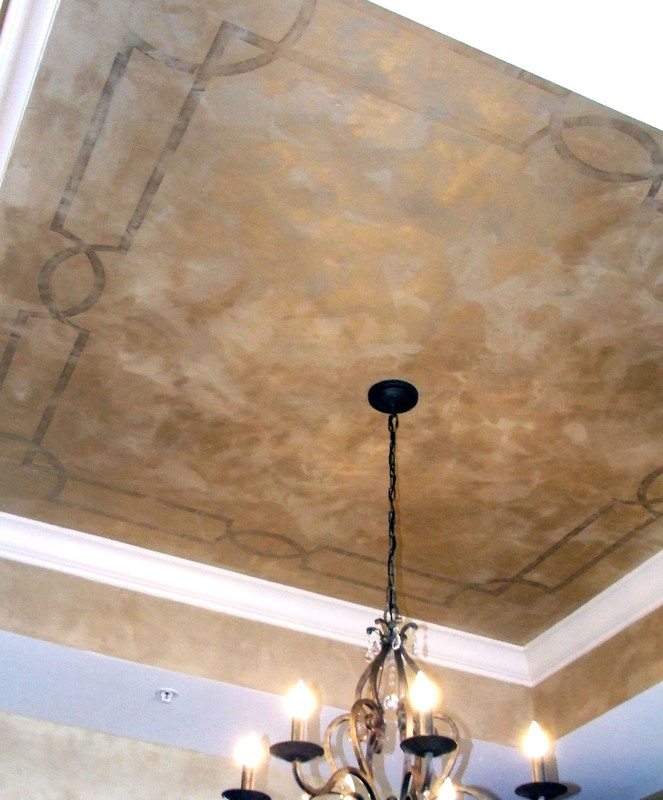 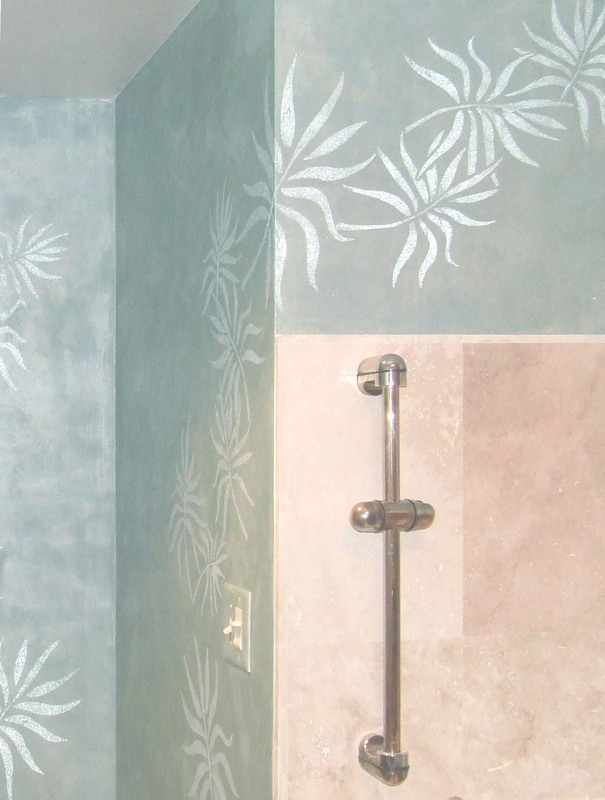 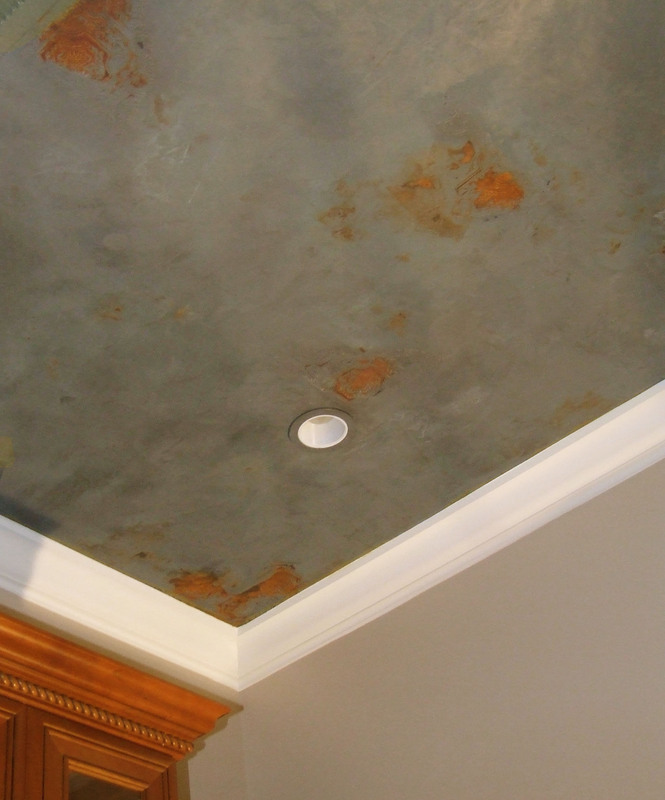 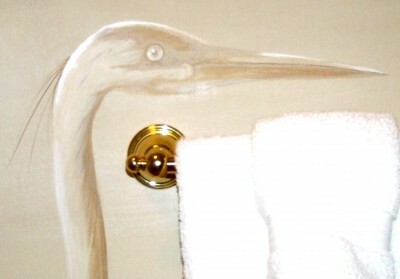 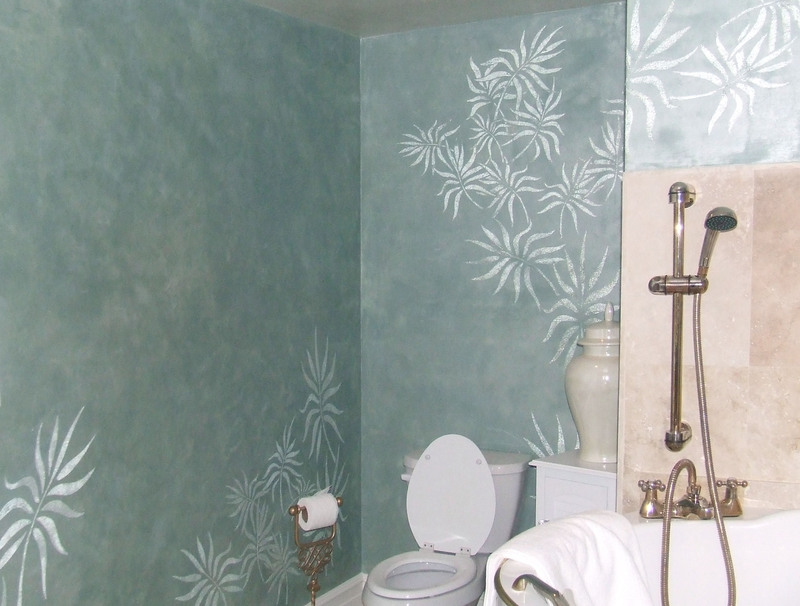 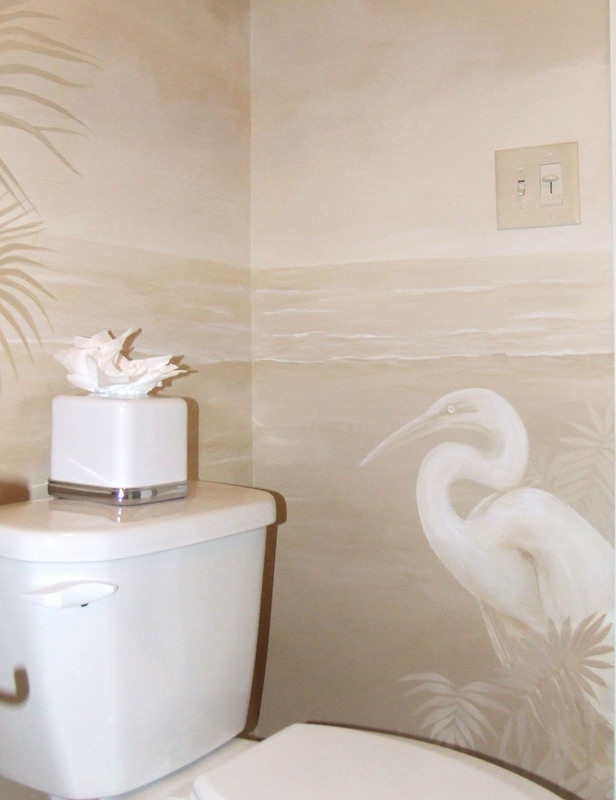 Glass bead fern design with metallic plaster in master bath. 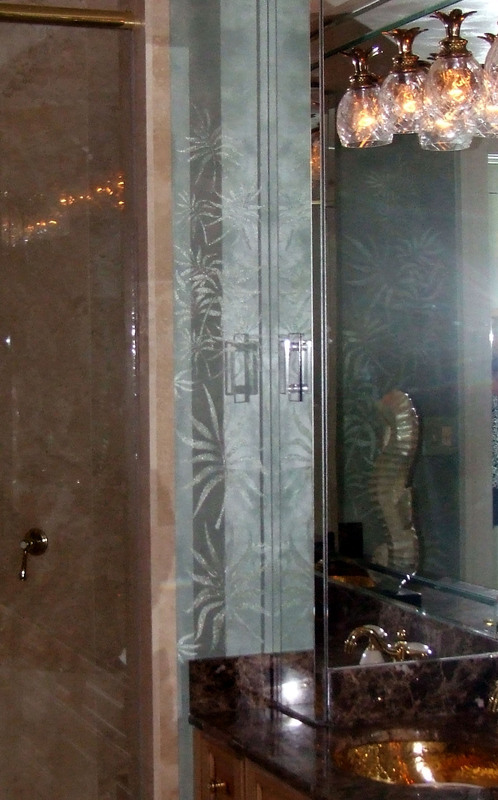 The glass beads are actually very subtle, but reflected with the camera flash. 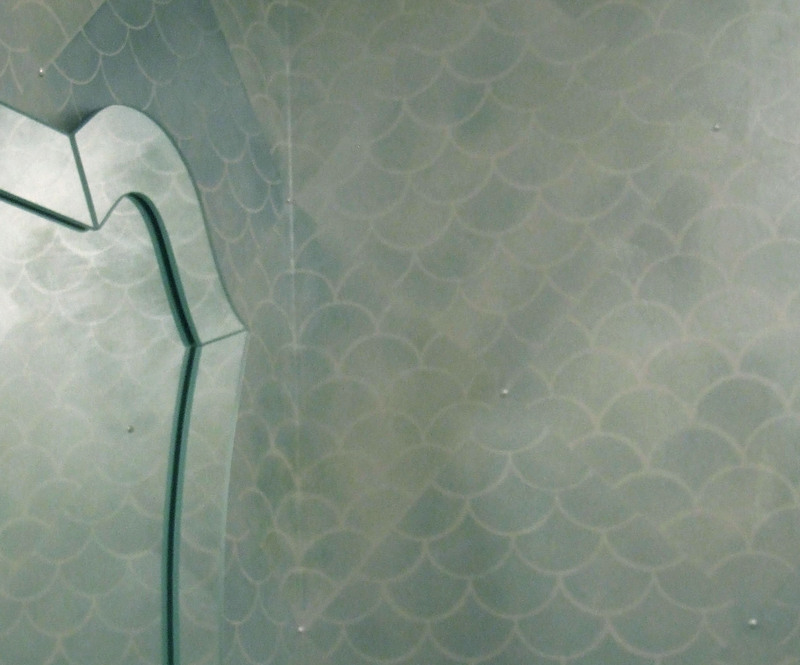 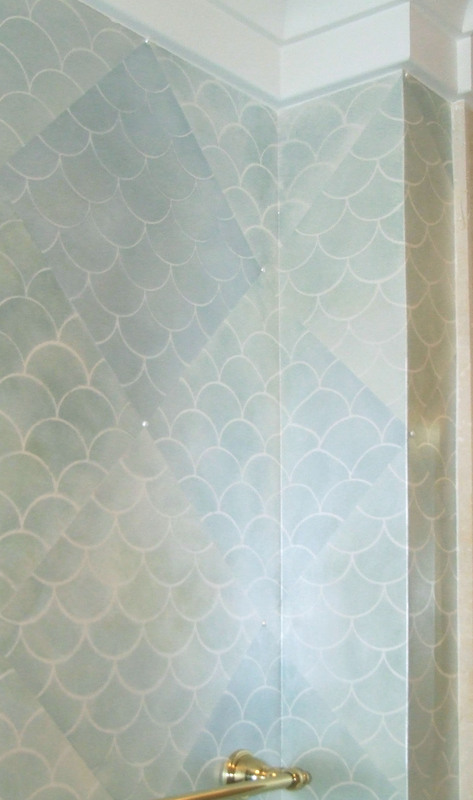 Blue/green pearlized plaster in fishscale design with swarovski pearls. 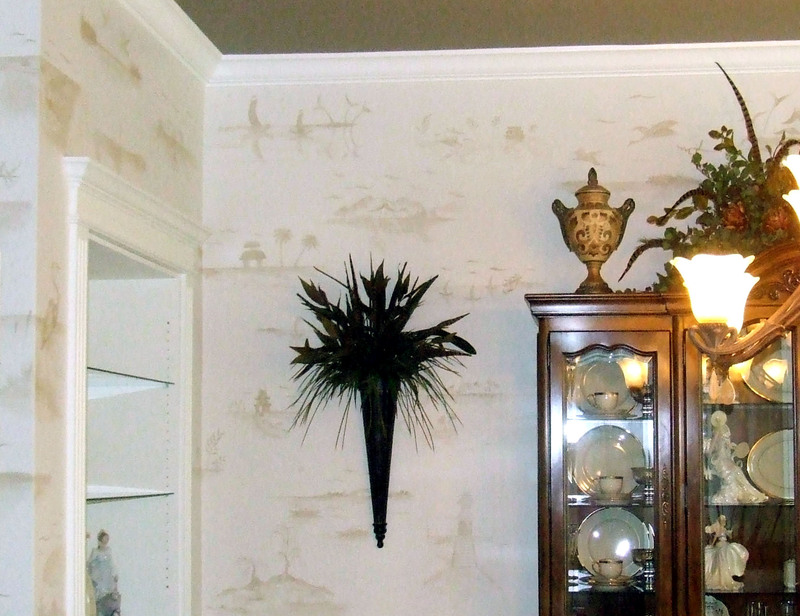 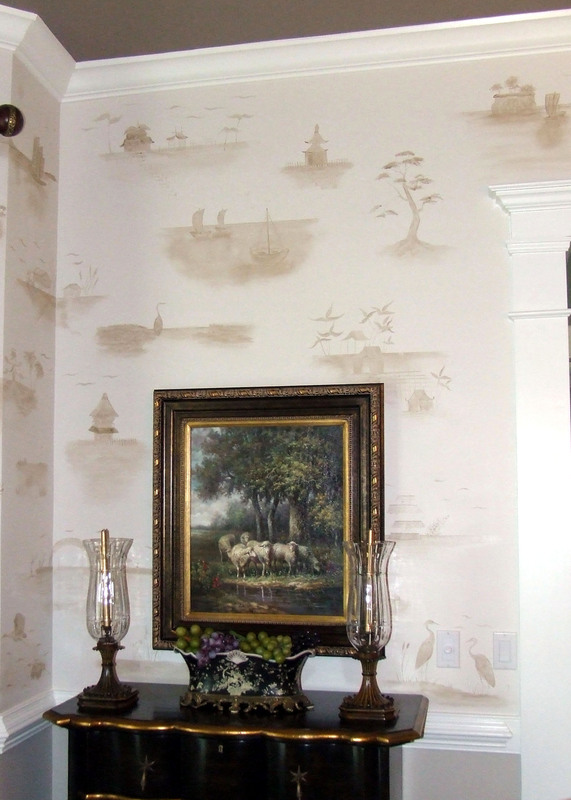 Hand-painted chinoisserie on dining room walls, an oriental version of a French toile. 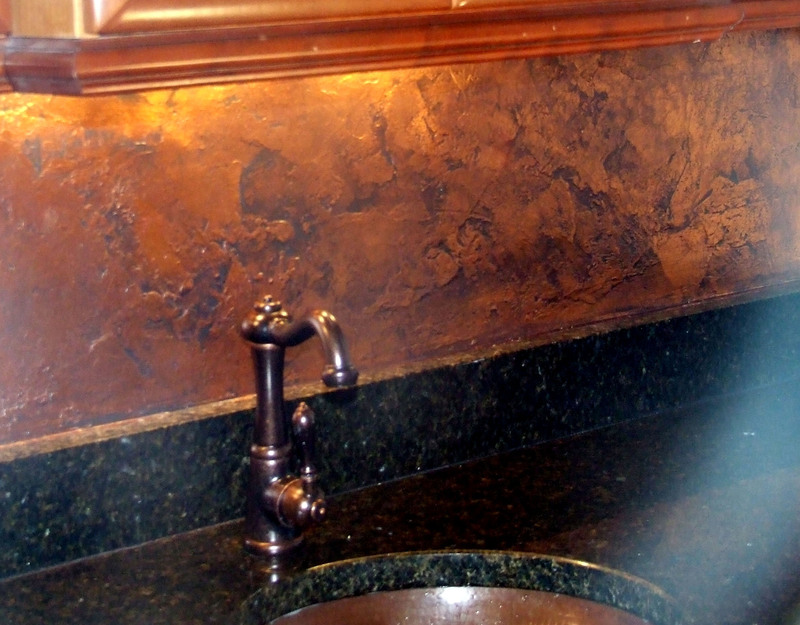 Copper textured backsplash in butler’s pantry. 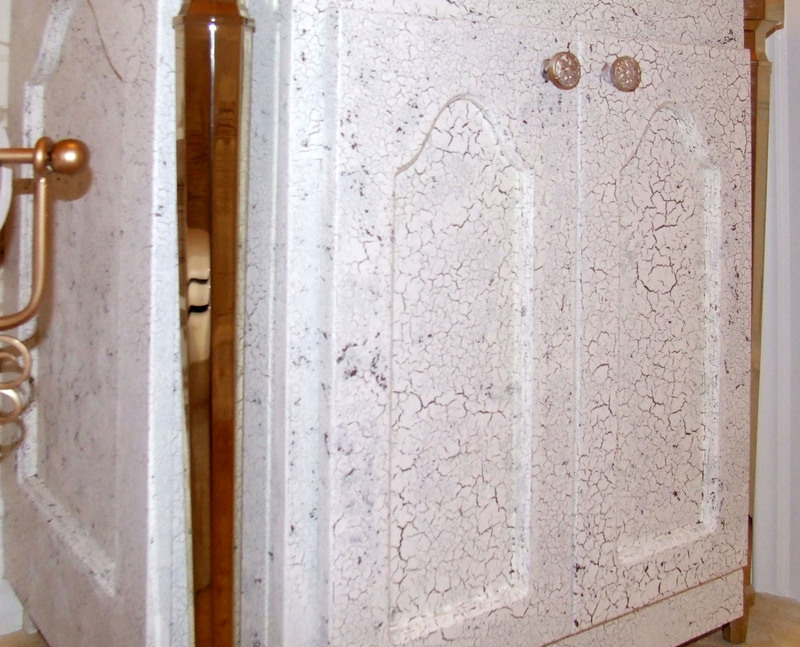 Crackle finish on custom vanity. 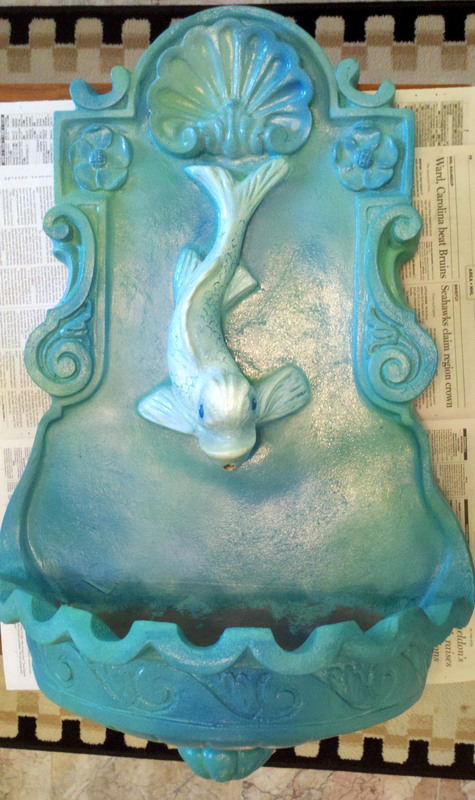 Beautiful painted fiberglass water fountain. 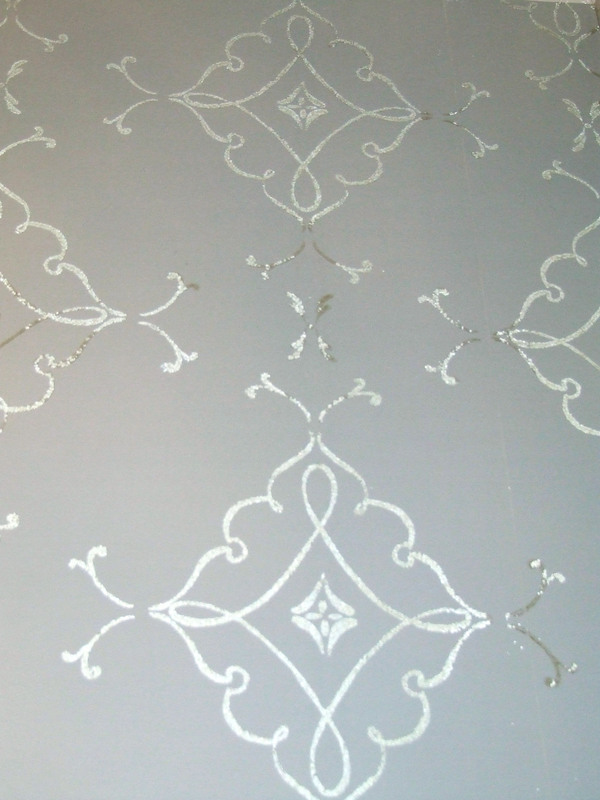 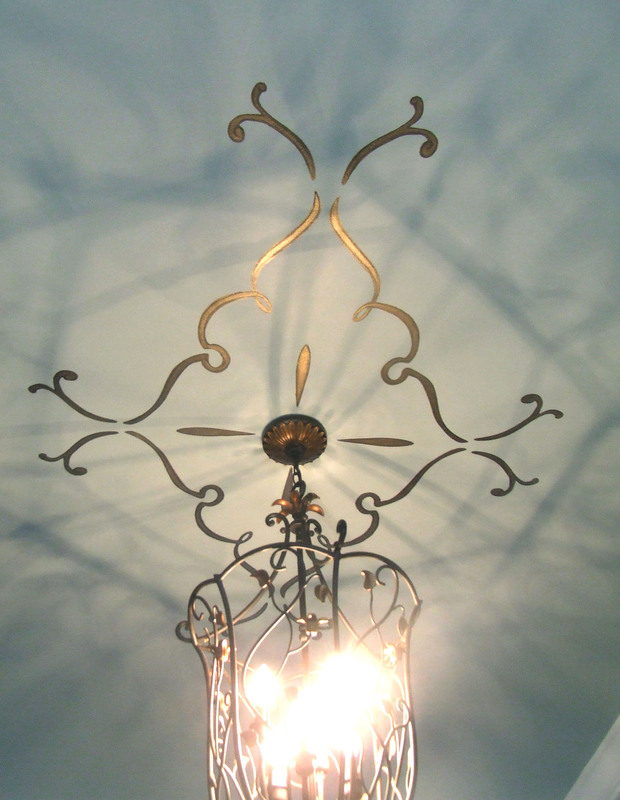 The wallpaper inspired the modello ceiling design, approximately 6′ in length. 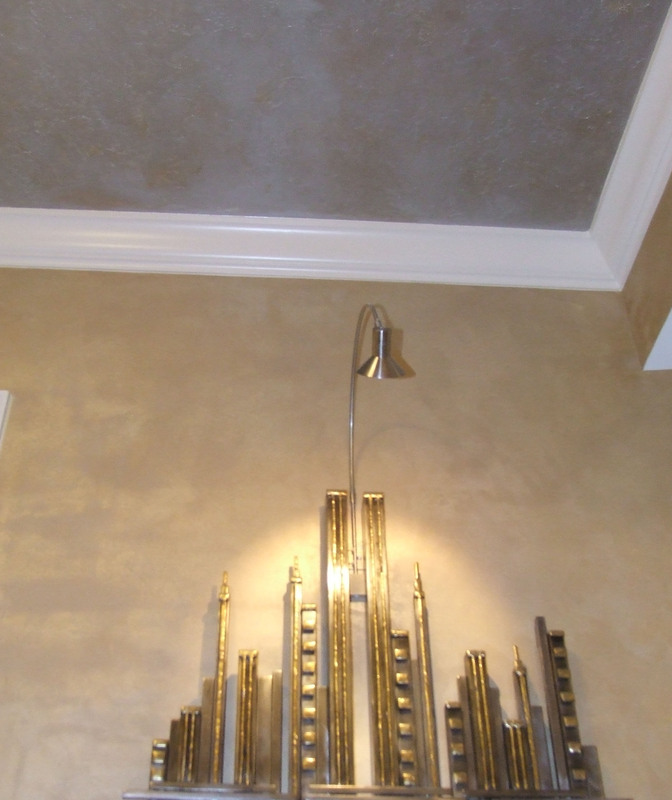 Lusterstone with design, Textured Metals (silver with a little gold), and a Lusterust with anaglypta.